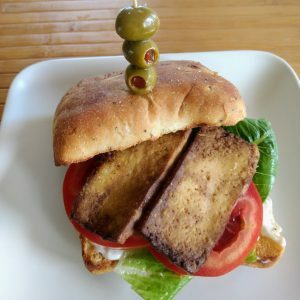 Slice Tempeh or Tofu into 1/4 inch strips. 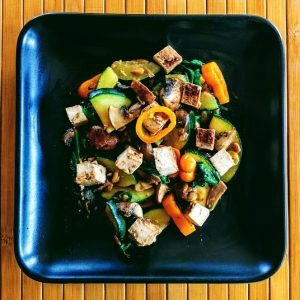 Whisk ingredients together and put in a 9x9 or pie pan. 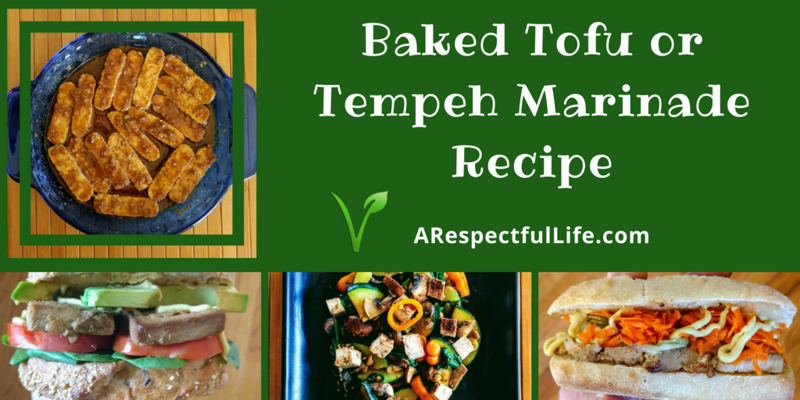 Place Tempeh or Tofu into marinade, let soak up marinade for 10 minutes, flip and spoon the marinade over the Tempeh/Tofu and let sit for an additional 10 minutes. 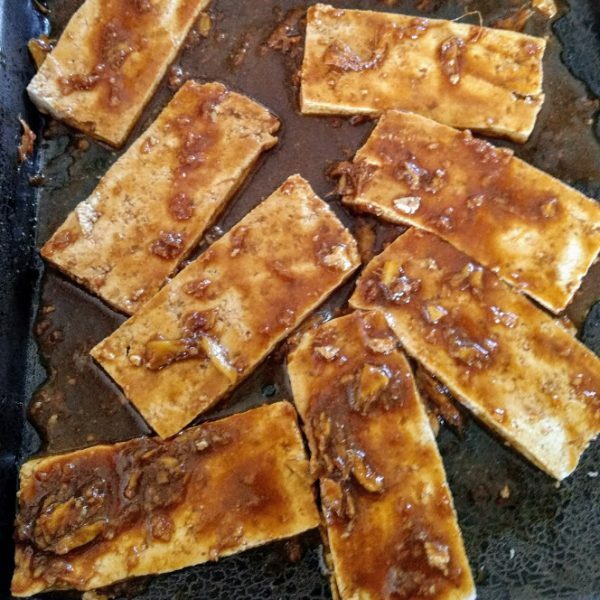 Bake in oven for 30 minutes at 300, flip and bake for an additional 15-30 minutes. 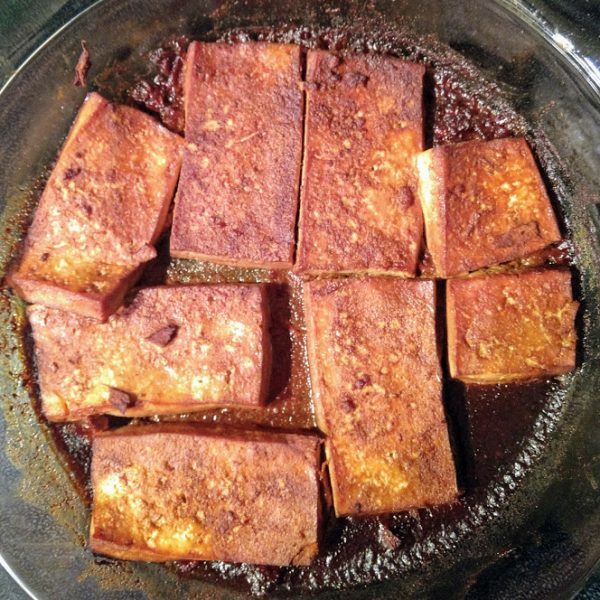 See images - your Tofu will brown and puff up, Tempeh will also brown. 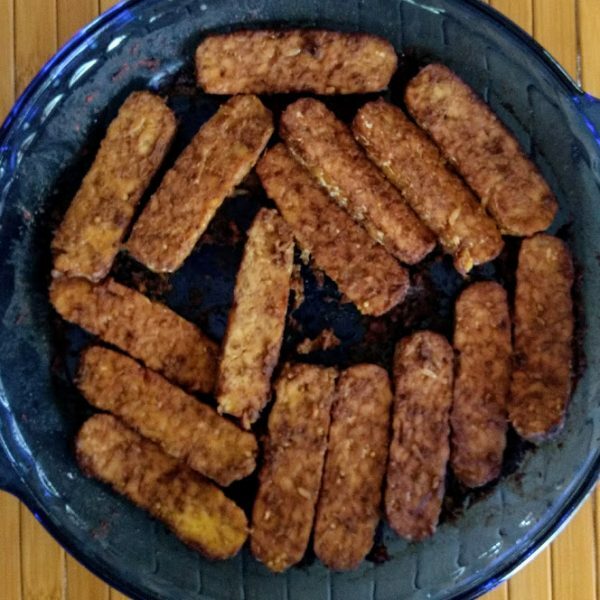 May require a few more minutes. 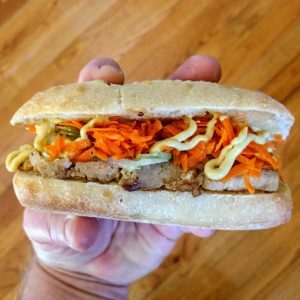 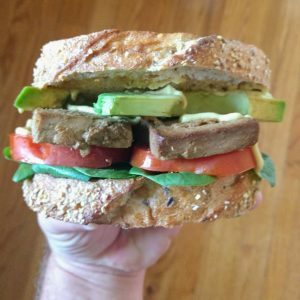 You can use the hot-out-of-the-oven Tempeh/Tofu immediately for a sandwich, or you can cool it and use it later for a sandwich or stir fry. 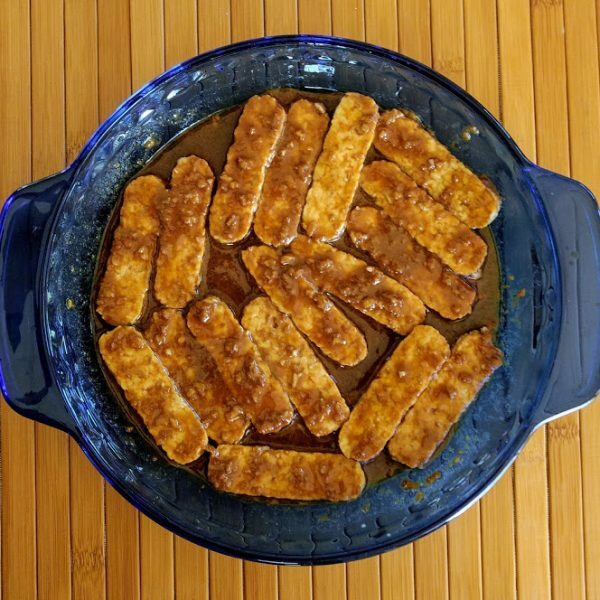 Previous ArticlePrevious Post: Vegan Kansas City Style BBQ Sauce – Barbecue Baby!